In recent years amateur players have made a habit of doing well against, or even beating titled professionals. This is to do with sheer determination, hard work and a commitment to improved personal achievement. 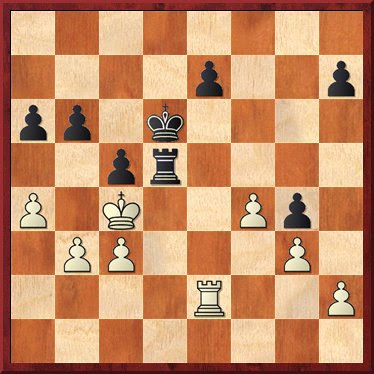 After 35 moves Black had easily managed to neutralise any 'ideas' presented by his - ahem - Grandmaster opponent Nigel Davies, reaching the position below, a level R+P ending. Black now played the cunning but straightforward 35…Rd5! To which Davies, seemingly unable to look one move ahead, replied 36. Rxe7?? 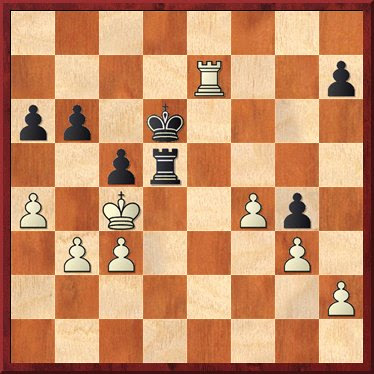 Allowing the very simple 36…b5+ forcing immediate resignation. A nice 2008 win for Boumphrey and giving several onlookers a huge chuckle. Last year at the British Championships in Liverpool hundreds of juniors took part in a magnificent festival of chess alongside adults in a wide variety of events. Their behaviour particularly at the board was impeccable, even the U8’s and U9’s managed to sit quietly and courteously, listening to instructions before play and showing tremendous self control throughout their games. 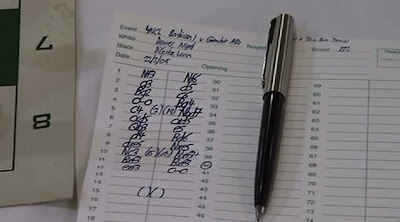 In contrast, during a recent match at the Adelphi we witnessed behaviour by a junior member from a visiting team who’s attitude and conduct was at best unfortunate and at worst deplorable, showing blatant disregard for the feelings of his opponent and to the rule regarding player conduct (12.6 It is forbidden to distract or annoy the opponent in any manner whatsoever). During the game he twisted a plastic pen over the board making a cracking sound, rattled a drink containing ice-cubes and when the glass was empty crunched them noisily, adjusted his opponents pieces when it wasn’t his move and when asked to stop said ‘I don’t have to.’ During the game he also rapped his fingers on the table over and over again. This all took place over a period of at least 15 minutes. 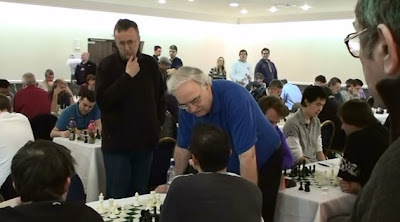 His father intervened eventually but only after our player, former British Correspondence Champion Frank Boyd, had expressed his opinion in no uncertain terms and found it necessary to leave the board to seek advice. Things came to a head when the young man blundered, losing a pawn and position leaving little choice but to resign which he did by knocking his king onto the floor. Shortly after he left with his father, making no attempt to apologise. The player is from Widnes, the same ‘club’ Grandmaster Davies says he is proud to play for and where he hopes to ‘pass on a few tricks of the trade so that other members improve as well.’ Maybe the tricks he is referring to include behaviour of this sort, or the conduct of players he is keen to improve, which is it? The incident alone is unremarkable; a teenager losing his rag, perhaps tired, stressed or just not in the mood, but add it to the catalogue of incidents Atticus Chess Club have been subjected to this season, a picture is emerging. Only last year Davies talked openly about ‘…REAL intimidation next season…’ and now we can see what this means for chess in Merseyside. Nigel Davies has taken to posting his wins against amateur players in local league matches. Perhaps as a GM he is proud of such achievements, who knows. To balance the books see this small example of how easy it is for a professional player to come to grief .... against an amateur. 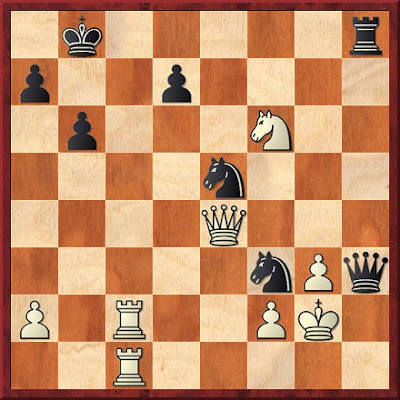 Well, in the position below Nigel's intuition deserted him completely; he gets out-smarted by a simple knight manoeuvre and following a disastrous blunder, is mated. This must have come as a great shock bearing in mind that his opponent, Jonathan Blackburn, was rated nearly 300 Elo points fewer than him at the time. This must be one of the most humiliating defeats he's ever had. 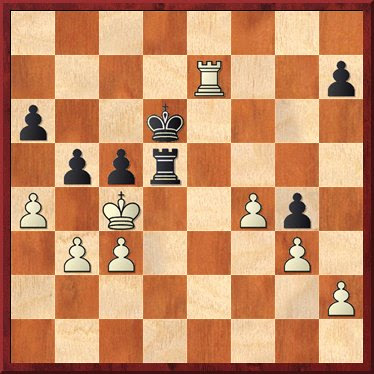 Black has just played 33...Nce5. 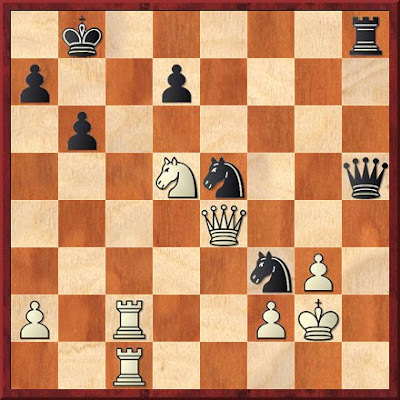 A very good centralising move, connecting both knights and threatening mate in 1. White, after a few minutes thought, played the comical and disastrous 34. Nf6?? 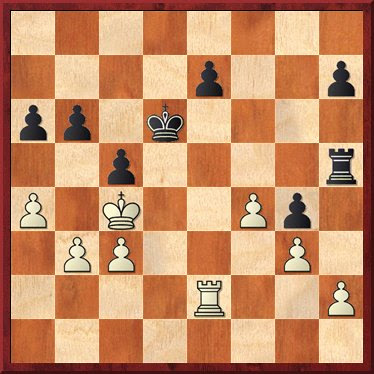 allowing the very embarrassing 34...Qh3 mate! It’s just a shame such sentiments don’t apply to his use of mobile phones. 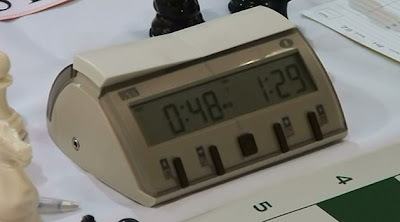 During last year’s EU Championship at the World Museum in Liverpool Nigel Short resigned his game in round 2 against Keti Arakhamia-Grant when his Nokia phone rang. A few quiet words were exchanged at the time, no arbiter was called to the board and Nigel signed the scoresheets well aware of the rule (12.2b) If a player's mobile phone rings in the playing venue during play, that player shall lose the game. In 2003 Ruslan Ponomariov became the first player to be disqualified when his phone rang during a game. 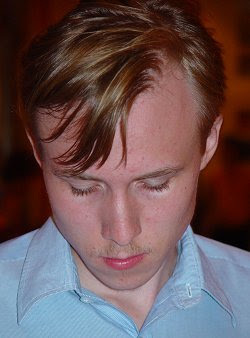 At the time he was the reigning FIDE world champion but unlike Nigel, Ponomariov protested, refused to sign the scoresheets and slunk off. Last weekend during round 8 of the FIDE rated 4NCL event at Hinckley Island a similar thing happened when Nigel Davies’s phone went off. (left) Davies in play against D'Costa. Seconds later his phone bleeped. Heads turned, some people stood up, there was muffled conversation and some hurried fumbling but the anticipated resignation never occurred. Instead a very embarrassed looking Davies left the playing room apparently to ‘ask the arbiter what I should do’. He was gone for over five minutes. Eventually Arbiter Roger Edwards arrived and spoke to Lorin D’Costa. Davies then sat down and played 13.Rd1 by which time D’Costa had left the playing room not returning for some considerable time. He could be seen outside talking to chess colleagues and clearly unhappy about the decision to give only a warning. And by the time he returned to the game he was over 40 minutes behind on the clock. D’Costa eventually lost the game. Nigel has subsequently written that he was ‘prepared to fall on his sword and resign’ and 'appreciative that my opponent didn’t make a big thing of it or push for a default.’ But the point surely is that his opponent shouldn’t have to push for anything and that resignation was the right thing to do. Another example of heads I win, tails you lose, it seems. To avoid just this sort of exploitation FIDE have taken a further step to tighten the regulation in the new laws which apply from 1st July this year. (12.3b) Without the permission of the arbiter a player is forbidden to have a mobile phone or other electronic means of communication in the playing venue, unless they are completely switched off. If any such device produces a sound, the player shall lose the game. The opponent shall win. Excuses such as ‘my mobile phone woke itself up’ or it 'gave a beep to say it was running short of juice’ are preposterous and FIDE have clearly heard enough and had enough of such nonsense.